In 2012, Wunderman Athens advetising company came up with a new promotional idea for Nokia and the new C7 cell phone. A facebook application through the fan page of Nokia. The design and development of the idea were assigned, once again, to intros.gr. 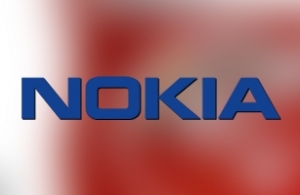 The application urged users to "Get in the biggest greek Heart, in order to win 3 Nokia C7 cell phonew and special invitations for Nitro's party". The only thing that you had to do, was to click on the heart and your facebook profile photo should appear in the heart among others. Then you had to share with your friends the image of the heart containing your photo, and invite them to participate in the contest as well. Finally you had to post a message informing your friends and contact that you have participated in the Nokia contest. Facebook promotional campaigns and contests, like this one, provide the company's Fan Page great publicity and rapid share-ability. These two factors can bring more potential customers and therefore increased sales, for the said company. In intros.gr, we believe that neither the design and development nor the cost of such Facebook applications, should be and obstacle to company's growth. Do not hesitate to contact us, to discuss any idea you might have regarding your website or your company's facebook page! We are here to help you!!! In intros.gr, we try to provide our customers, the most attractive and effective solutions!